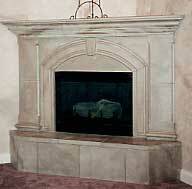 Precast concrete fireplace fronts are assembled from mantle pieces, pillar pieces, fluted or plain, and hearth pieces. Channel surround pieces are also used for additional decorative effects. 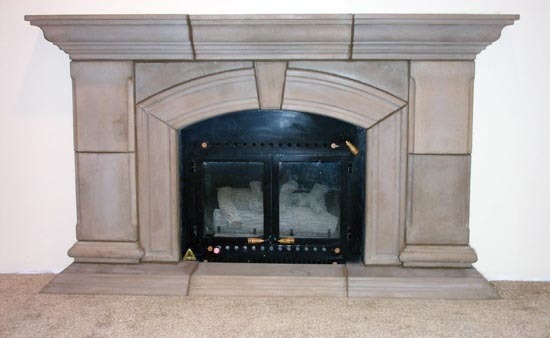 Fireplace hearths can be constructed level with the floor or raised to any combination of heights using filler pieces. Several standard colors are available. 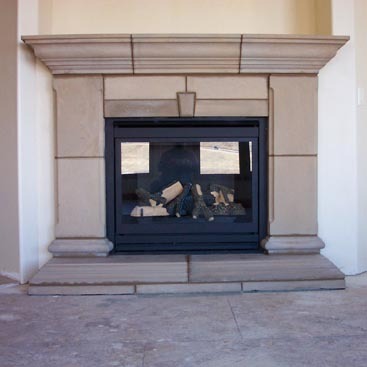 There are a variety of ways to assemble fireplace fronts, depending on the floor strength and the size of the wall to be covered. 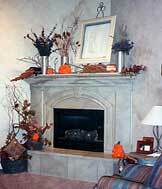 Mantles can be of any length, especially when placed on an angle-iron support in the wall. We recommend that installations be done by a well-qualified mason or tile contractor. Recommendations are available upon request. 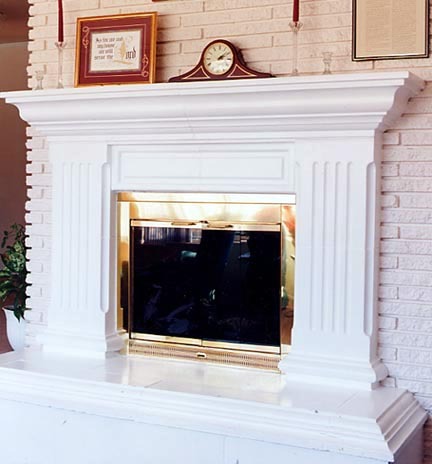 Fireplaces are available in these standard colors and other desired colors. Colors may vary depending on monitor resolution.